Continental Seal tyres protect the tyre from nail penetrations like this onecompetitors in recent years due to some innovative new products such as the “Seal Tyres” that contain a protective layer of sealant made of polymers, that stop the tyre from deflating when penetrated by a screw or a nail. Continental tyre Sport ContactsThe protective layer is inside the Seal tyres, just underneath the tread area. Other products to giva a Continental tyres boost include “runflat technology” and new tyres that are greener and lighter to save on emissions for new EV and electric vehicles, altogether an impressive portfolio of products. 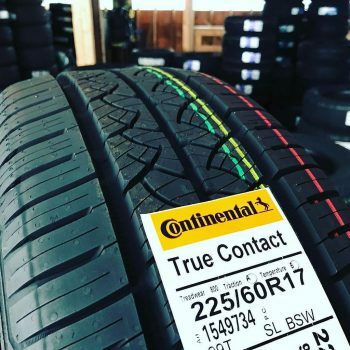 Continental tyres boost their market share by continuously adding new tyre products to their range. One of their latest tyre products is a new winter tyre the TS850. Hi I would like to introduce myself. I have worked in the Garage and tyre and Battery business now for 40 years. Working for a couple for national tyre companies in my younger days. Hence, before starting my first business. Consequently,I now own a garage and MOT testing centre. Locally, here in the UK called Pellon Tyre and Auto-centre. As a result, I am a keen blogger about anything to do with cars. Including, their related products that will help my business. We are members of Point-S and Motor-Codes . Also a Unipart Car Care Centre and of course Tyre-safe.